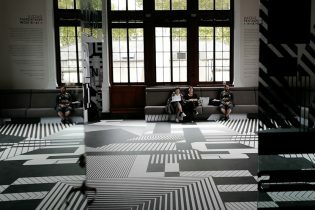 London Design Festival is the perfect opportunity for exploring wildly different creative ideas across the capital. 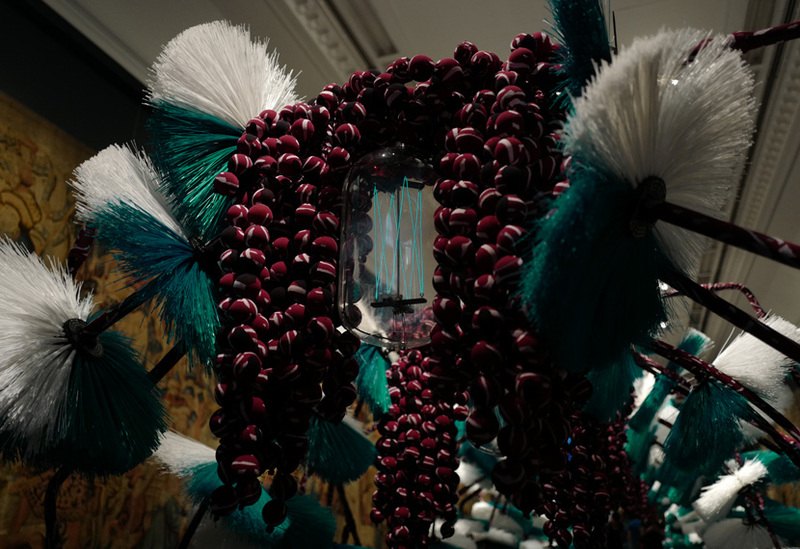 Having several current projects in central London gave us the perfect excuse to see a little of what LDF had to offer. 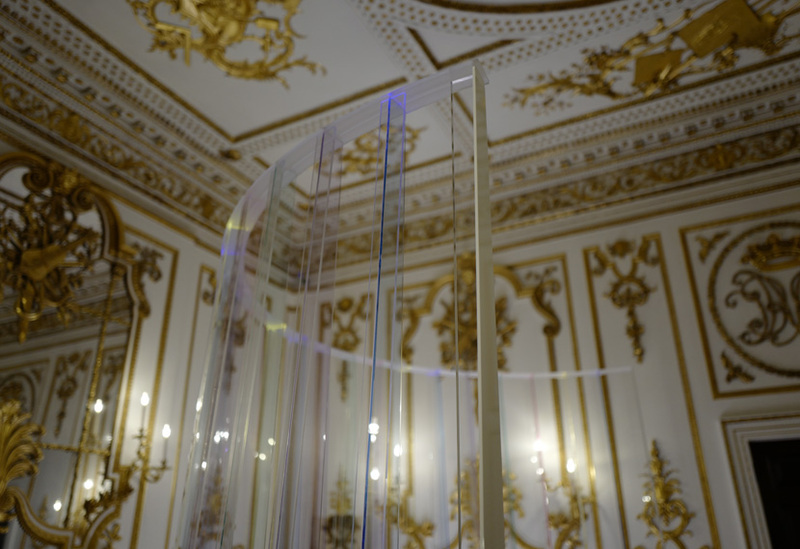 Here’s what we took in at the LDF2018 V&A hub. Arvo Pärt’s Memory & Light was mesmerising. 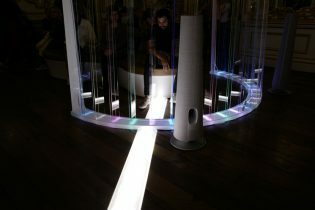 Pärt describes his music as being like white light, containing all the colours and this installation offered a beautiful, tranquil manifestation of this idea. 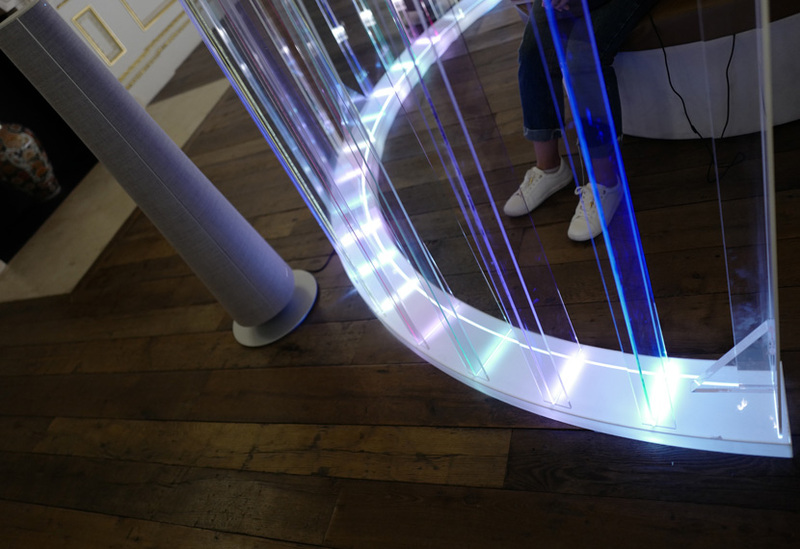 ”Only a prism can divide the colours and make them appear; this prism could be the spirit of the listener.” The large, upholstered bench and salon interior provided a comfortable, cloistered environment in which to experience the music in tandem with the dispersion of light from the curved perspex screen. 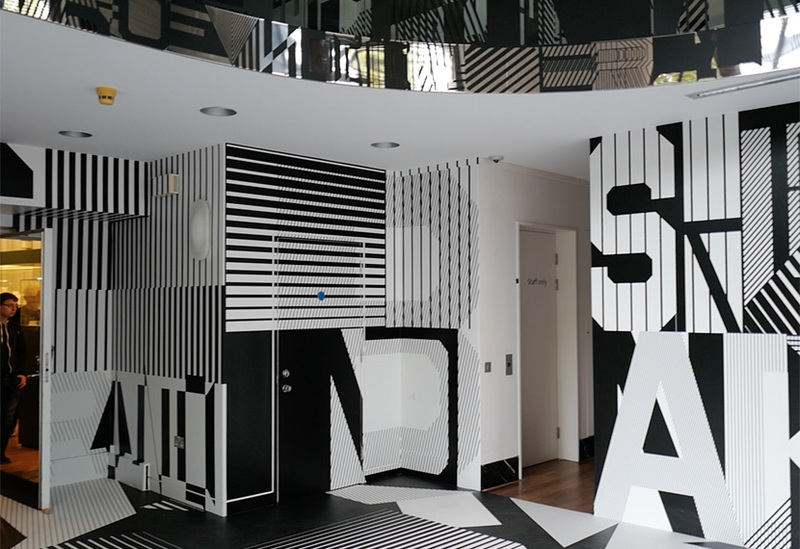 In contrast, Pentagram’s Dazzle assaulted and distorted perceptions. Drawing on Norman Wilkinson’s pioneering and experimental camouflage designs for WW1 naval vessels, this typographic exploration of disruptive patterns took inspiration from Wilfrid Wilson Gibson’s poem ”Suspense”. 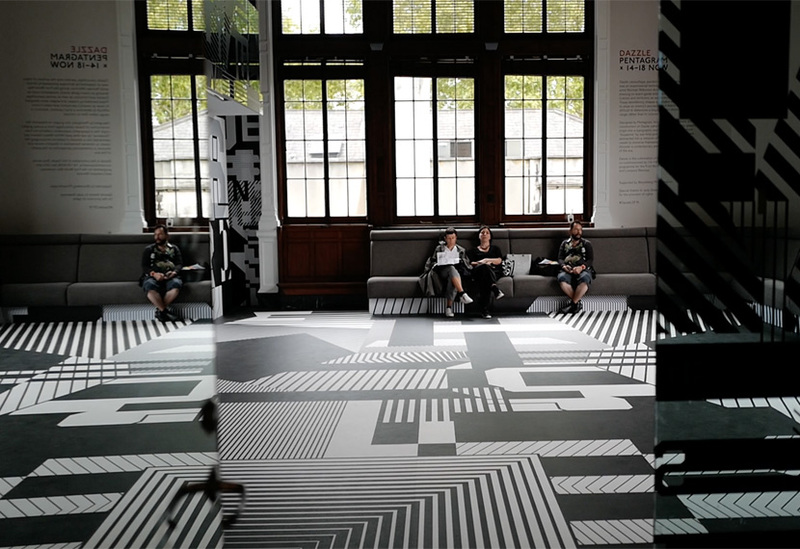 There was also the chance to watch a short film about the Dazzle designs and the commissioning of the 14-18 NOW dazzle ships in Liverpool, London, Edinburgh and New York. 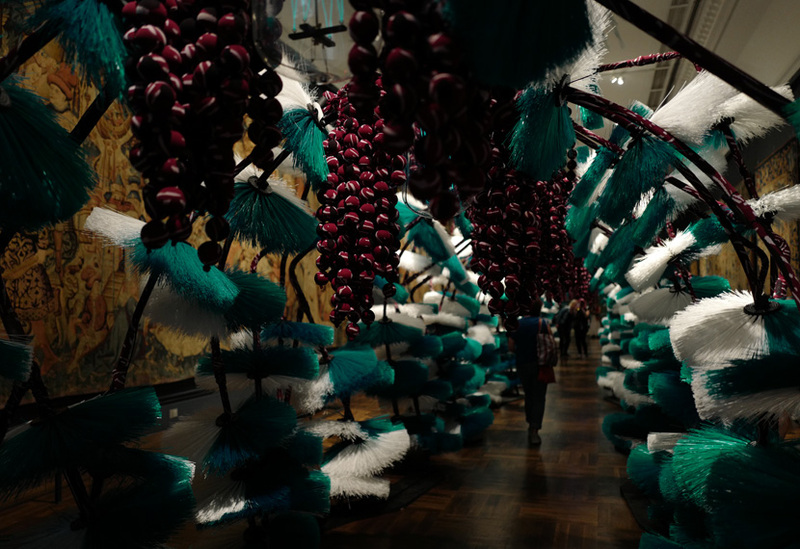 In the Tapestries Gallery, Henrik Vibskov’s The Onion Farm provided a tactile experience: a kind of darkened, indoor laburnam walk of prickly brushes and soft, draping ‘onion’ strings. The structure, made entirely from everyday objects, invited you to walk through and to touch – exciting, in a ‘do not touch’ gallery context. Immersive and intriguing!